I had fun making this birthday card with a Cricut cut from the Straight from the Nest cartridge. I used one of the My Creative Time More Stitched Edges Dies to make the grass. The sentiment is also by MCT, from the Tweet Me stamp set. 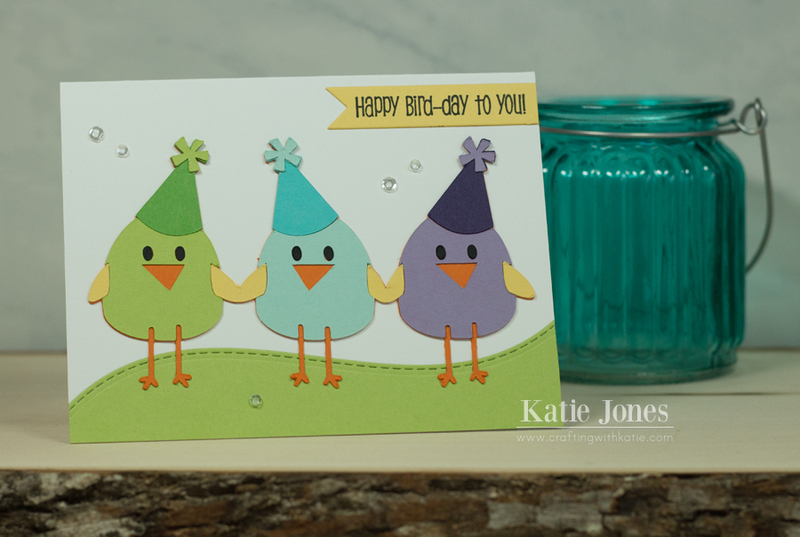 I stamped it onto a die cut made with the Papertrey Ink Double Ended Banner Die. Some sequins finished off this card!